After an output of singles and remixes in 2015, including mixing his very own ‘Anjunabeats Worldwide 05’ compilation, ilan Bluestone’s first single of the year is possibly his most accomplished outing yet. His first solo vocal production, ilan teams up with newly discovered British talent Giuseppe De Luca for ‘Bigger Than Love’. Debuted during ilan's set at Above & Beyond’s Group Therapy 150 celebrations at Sydney’s Allphones Arena, the track is a tale about lost love and the struggle to recapture absent emotions. Swinging grooves and cascading arpeggios carry Giuseppe’s vocal throughout the track, building to a dancefloor barrage which made ilan a favourite among the likes of Above & Beyond, Armin van Buuren and Kaskade in recent months. The track has apparently captured the hearts of fans in recent months, with crowds in full voice during his performance at London’s Wembley Arena in late 2015 and shows nationwide throughout Anjunabeats’ multi date North American tour. 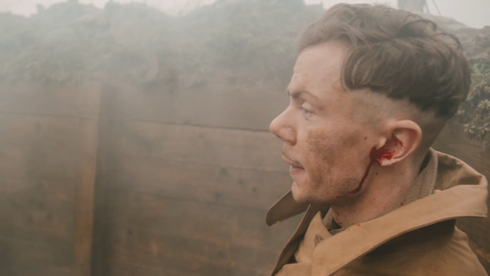 Set against a dramatic Second World War landscape, the official music video for ‘Bigger Than Love’ features Giuseppe in the lead role, the echo of his relationship fading during his final moments in the trenches. It’s out now, check the video below.